Congratulations to the organizers (Simon Dobson, Fabrice Saffre and their team), of ICAC 06 in Dublin (June 12th-15th) for a smoothly run conference. 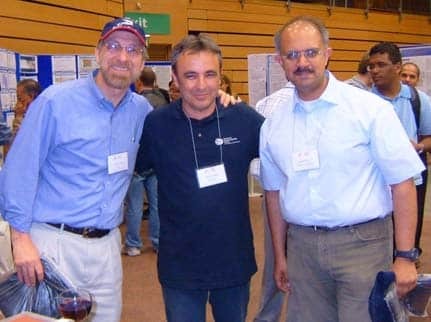 Also congratulations to Mazin Yousif and Omer F. Rana that have efficiently produced an outstanding program for us. And also thanks to Jeffrey Kephart and Manish Parashar for their good job as general co-chairs. There were a great selection of interesting papers, lots of interaction and discussion throughout. And most surprisingly of all the weather stayed sunny for the whole week! 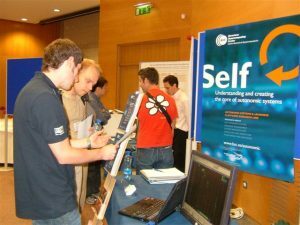 Here are some pictures of the demo stand set up by BSC for ICAC 06 in Dublin. We presented some of the work being carried out in our group: understanding and creating the core of autonomic middleware. There were some good comments and suggestions from the participants that we really appreciated. UPDATE: Thank you to José Fortes for teach me about virtualization!